RCVS Knowledge is the keeper of some 6,000 historic books, documents and manuscripts - an irreplaceable body of hundreds of years of accumulated veterinary knowledge. Photo above: Libri de re rustica. Published in 1514 by the Aldine Press in Venice. This is the oldest book in our collection. 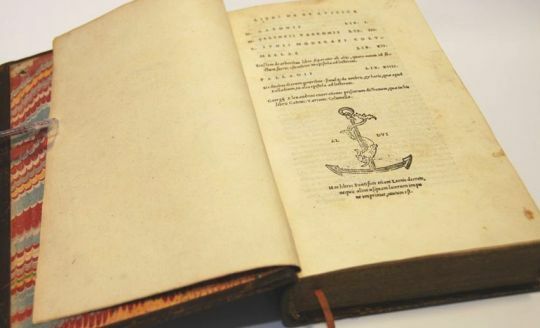 On the 500th anniversary of our oldest volume – Libri de re rustica, published in 1514 - we are embarking on a major digitisation programme of our collections, producing high-resolution scans of each document, that we can make widely available for study and research via our website. The collection is currently stored across a number of locations, in far from ideal conditions, and much of it remains uncatalogued. There has been a growing need to tackle this irreplaceable - and increasingly fragile - archive and ensure its long-term survival. Thanks to support from the Alborada Trust, Vets4Pets & Companion Care and other donors, we are delighted to announce that we are now able to embark on a major project to catalogue the priority documents in this historic collection and repackage them to archive standards. We have also been able to purchase the specialist digital scanner we needed to enable us to produce high-definition scans of each document so that we can start to make this marvellous archive widely available on-line, not just to the veterinary profession, but to the public as well. Lorna Cahill has now joined us from the Royal Botanic Gardens, Kew to head the project. This is a very exciting – and overdue – development for the care we need to bring to this unique repository of veterinary knowledge and finally make it widely available. We are very grateful to our funders for making it happen and we look forward to sharing with you what hidden knowledge this archive holds.